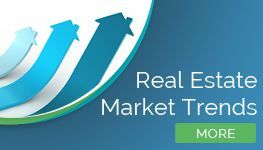 (SanDiegoRealEstateBuzz) – Spring is just around the corner, and with the rising temperatures comes a real estate market on the upswing, as well! Home sellers will happily note that days on the market stats are on the downswing, while the median sales prices is on the rise. Home buyers, however, will be happy to see that the number of San Diego homes for sale - i.e. inventory - has increased, offering more choices, while average prices haven't risen enough to pose a deterrent to house hunters. Let's dive into last months' San Diego housing market trends. As we head into spring, it's still a sellers' market in San Diego. Though the number of homes for sale in San Diego rose by more than 7 percent from February to March, from 4,152 homes for sale to 4,457 available homes, available inventory is still relatively low. Breaking these numbers down, we see that the number of detached homes rose by just less than 9 percent month over month, from 2,953 homes for sale in February to 3,218 homes for sale in March. Over the same time period, the number of attached homes for sale increased by just 3 percent, from 1,199 to 1,239. Looking back to a year ago, there were 4,380 homes for sale in March 2017, representing an almost 2 percent gain in inventory. 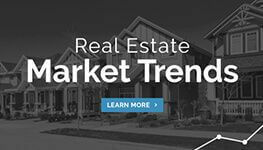 In February, 2018 a total of 2,058 homes were sold, an increase of just less than 1 percent over the 2,038 total homes sold in January. Of these, 1,342 detached homes were sold in February, a 1.4 percent increase over the 1,323 detached homes sold in January. As for detached homes, 716 were sold in February, as compared to 715 in January, or a negligible increase of just .1 percent. Looking back to February 2017, we see that a total of 2,121 homes were sold. This represents a 3 percent decrease year-over-year. 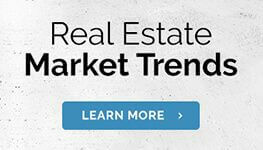 Overall, these numbers reflect a stable housing market with little dramatic change. Average days on the market decreased from January to February 2018, at least for attached homes. In January, attached homes spent an average of 38 days on the market, as compared to 31 days in March. This represents a decrease of 18 percent. In contrast, attached homes actually spent just one day longer on the market, moving from an average of 28 days in January to 29 days in February, or a difference of 3.5 percent. 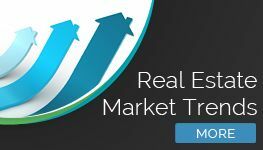 In February 2017, attached homes spent an average of 39 days on the market, a year-over-year decrease of just 2.6 percent. Attached homes spent an average of 32 days on the market last February, a decrease of 10 percent from 2017 to 2018. Home prices for both detached and attached properties increased from January to February 2018. The median price of a detached home was $595,000 in January, and rose to $610,499 in February, or a difference of just over 2.6 percent. The median price of an attached home increased from $410,000 in January to $426,000 in February, or an increase of almost 4 percent. In February 2017, the median sales price of a detached home was $565,000, or a difference of 8 percent year-over-year. The median price of an attached home was $386,500 in February 2017, representing a more-than 10 percent increase year-over-year. Interest rates continued to climb, increasing from 4.26 percent in February to 4.34 percent in March. In March 2017, interest rates were at 3.95 percent. Some experts continue to predict interest rates increases, but as of now, there's still plenty of opportunity for home buyers, though you should expect to pay a bit more in interest and in home prices. For sellers, these numbers indicate a competitive market where you can list for a higher price, but rising inventory means take care to not price too high.